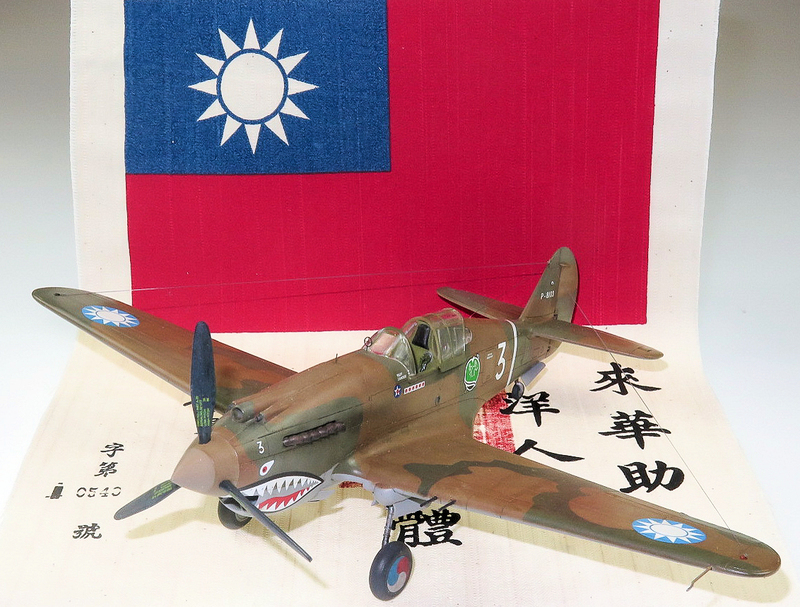 decals for 6 AVG aircraft and fabric flag. I differed from the instructions in that I built up the wheel wells around the well roof moulded to the underside of the top wing rather than as separate box structures. I thought this would aid in getting them square. Make sure you do not shave off the little pegs located on parts C5,6,9 and 10 as they locate into holes at the front and rear of the roof. 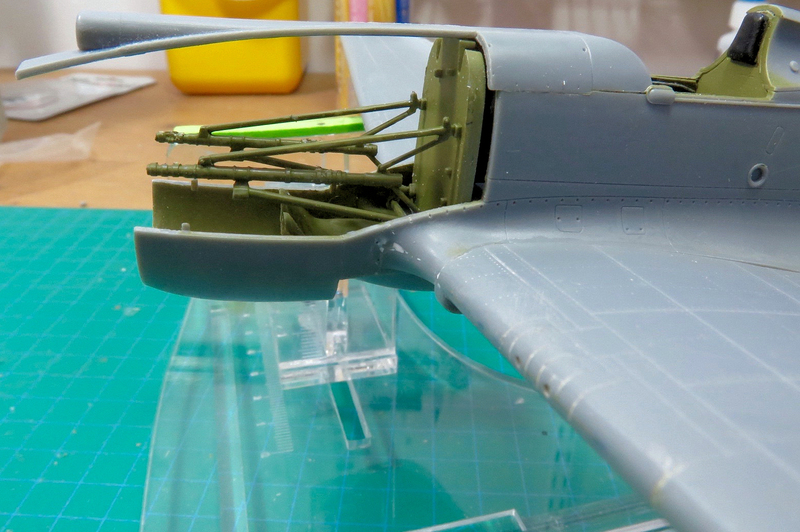 The wing guns D3 had their barrels cut off and the breeches drilled so that I could add the barrels after paint. If I added them now I just KNOW I would knock them off, or bend them whilst cleaning up seams. In fact, you can leave the breeches out altogether. 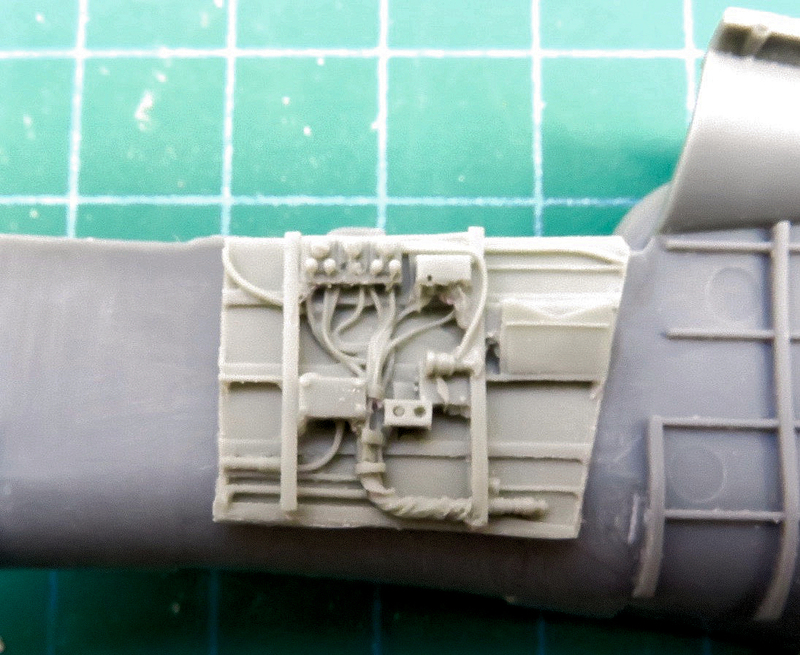 Barrels, either aftermarket or the kit ones can then be added at the final assembly stage. For this build, I used some Aires resin barrels as the kit barrels are just featureless plastic tubes lacking the distinctive cooling perforations. If building them closed, leave parts D35 and 36 out. The flaps will fit much better. 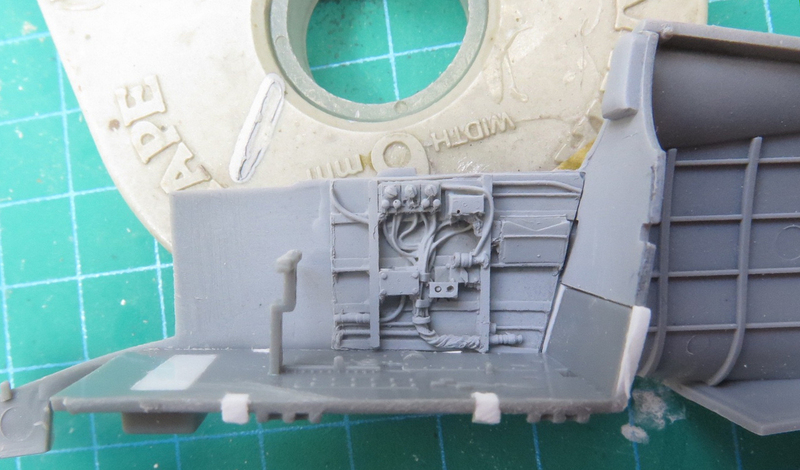 Be very careful removing the retraction links parts D42 and 43 from the sprue less you break them. 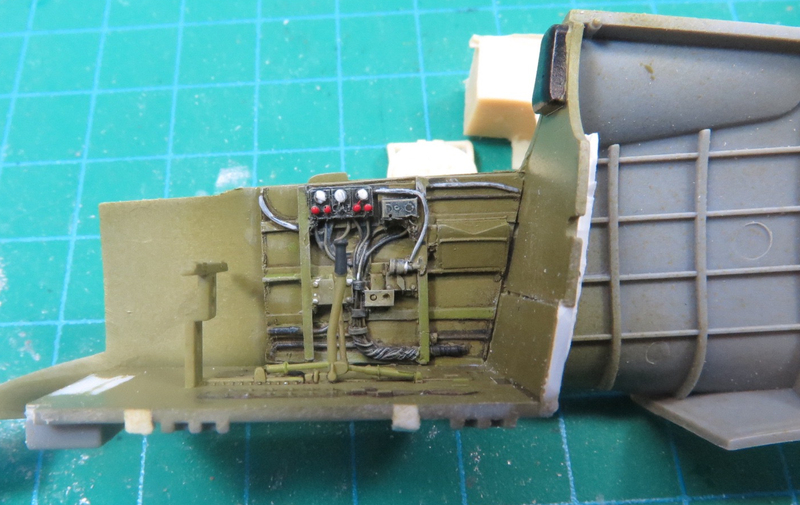 My plan was to use the True Details sidewalls, instrument panel and rudders mated to the kit floor and rear bulkhead to give me a cockpit of the correct depth. 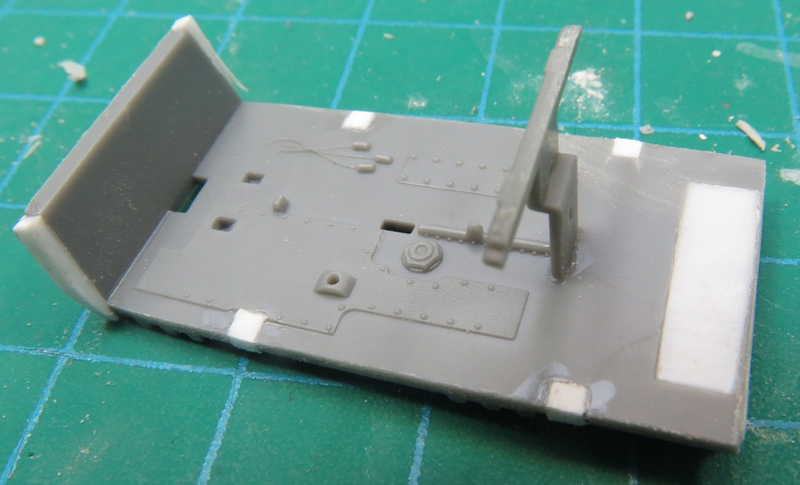 I first filled the location holes for the kit sidewalls and ammunition tank with bits of plastic card, Kit part D25 was retained to glue the resin instrument panel and rudders too. 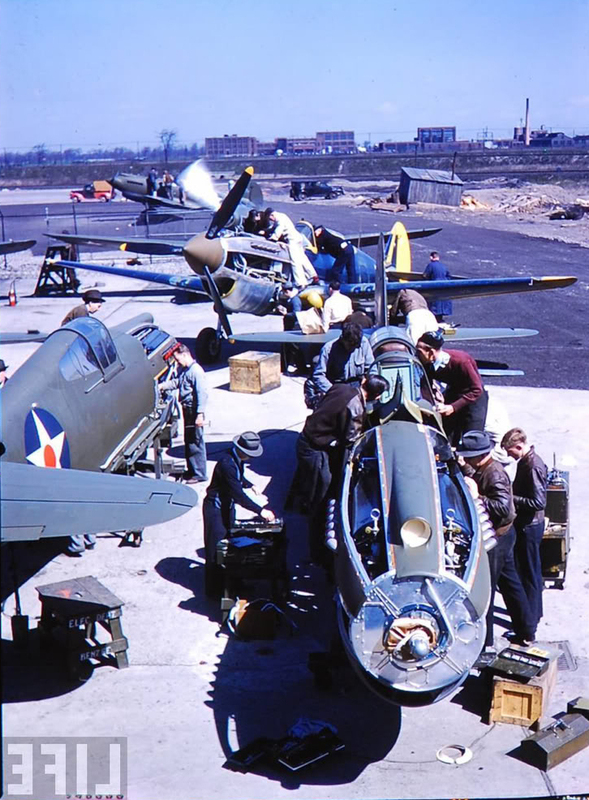 The parts were then dry fitted to ensure everything lined up. Note how the kit bulkhead has been simply glued to the top of the floor bulkhead to increase the height. The dry fit also revealed a little gap between where the sidewalls met the bulkhead, this again was fixed with slivers of plastic card. Happy with how it all looked, I broke out the paint. 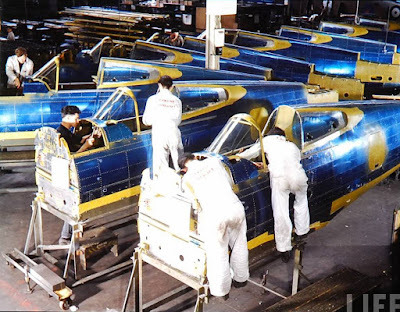 The fuselage halves were glued together in step 8, first ensuring the tailwheel strut is properly centred. Unfortunately, it does have to be glued at this stage. 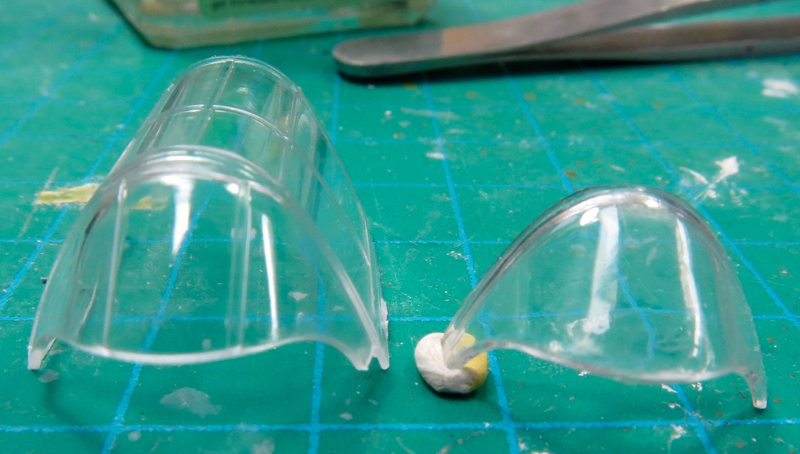 Finally, the stabilizers were glued on, requiring a smear of filler top and bottom. Adding the wings in step 10 left me with gaps at both wing roots. 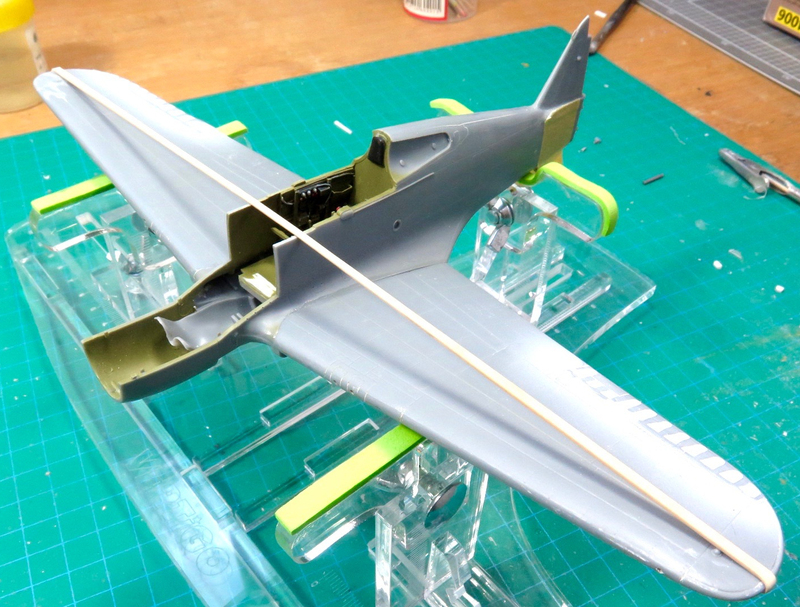 My usual fix for this is to add a bit of sprue as a fuselage spreader or add the top halves of the wings first, followed by the lower half, neither option though was possible with this kit due to the limited gluing areas so I settled for forcing the wingtips up with a rubber band stretched from wingtip to wingtip. The price of this though is a steeper dihedral than that on the actual plane. In fact, I later cracked the joins and inserted shims to flatten the dihedral as the acute angle I had induced looked ridiculous. The instructions here are a little vague in parts placement. I added part A48 to the block halves A46 and 45 which helps set the correct angle when attaching the rocker covers parts A42 &43. Ensure you have the cutouts facing towards the rear. 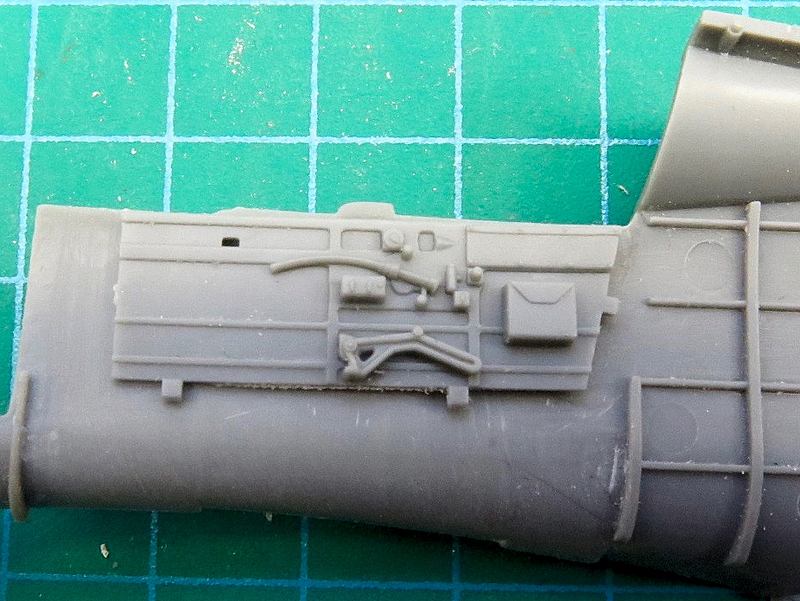 When removing parts A38 from the sprue, ensure you don't cut off the small lugs that locate onto the engine bearers. I decided to add the exhaust stubs later after painting, which was a mistake as I could not get them properly aligned. Add them now as per the instructions. 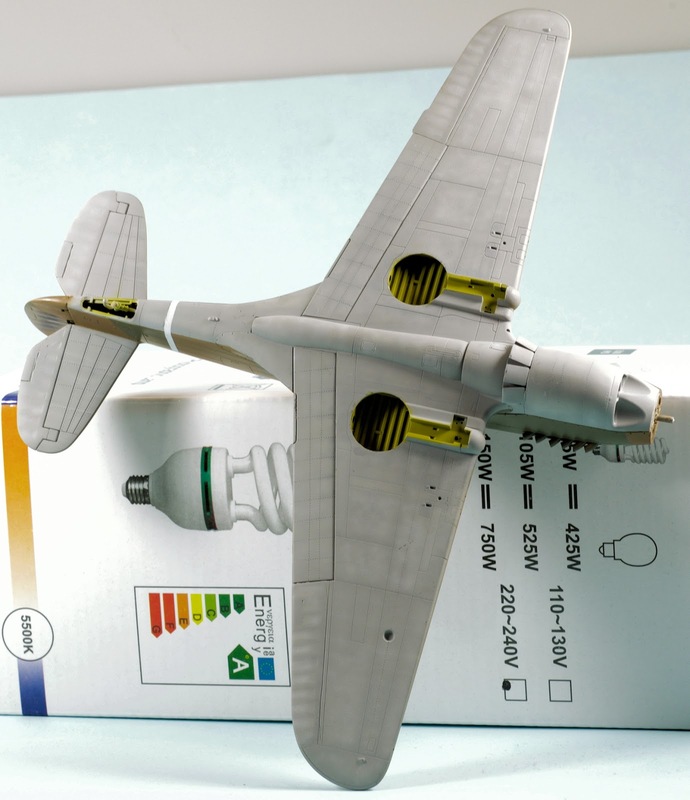 The result is a nicely detailed replica of the Alison V-1710 motor. Alas, trouble was looming! If annoyance had first whispered at me with the gaps at the wing roots, it now yelled at me upon fitting the Firewall to the fuselage. 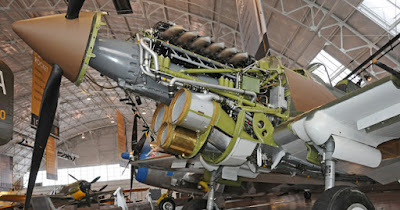 Rather than flush with the side cowling openings, the firewall sat a fair way forward of its proper position, so that it was visible from the side. Not like the real one at all. NOT. HAPPY. JAN! 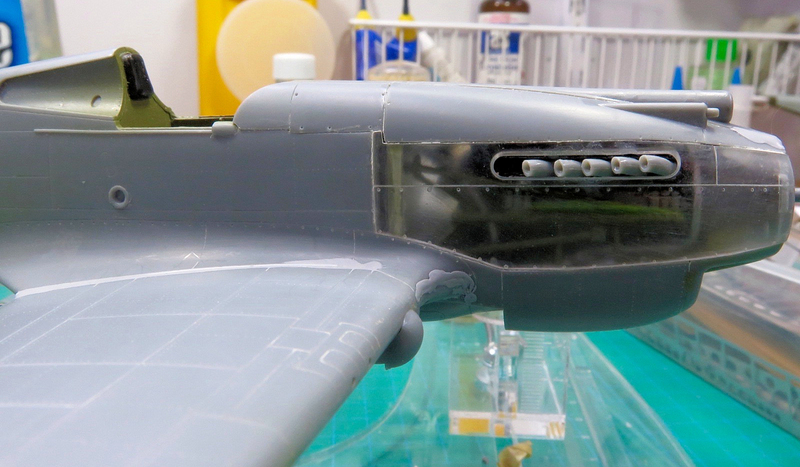 In step 17, small pieces of card were added to the open cooler flaps part B9 to better portray the real thing. 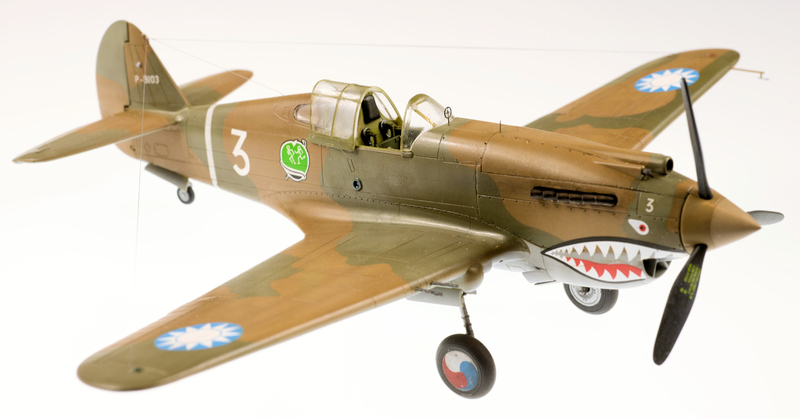 Finally, I had a complete airframe to head to the paint shop with. 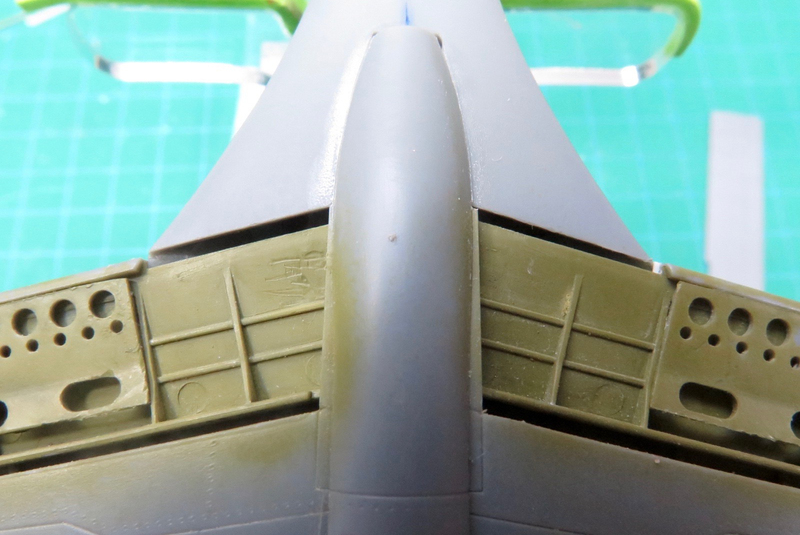 I took this opportunity to fill the troughs between the ribs on the control surfaces with milliput, smoothing it out with a wet finger to hopefully portray better renditions of fabric control surfaces than Bronco moulded. 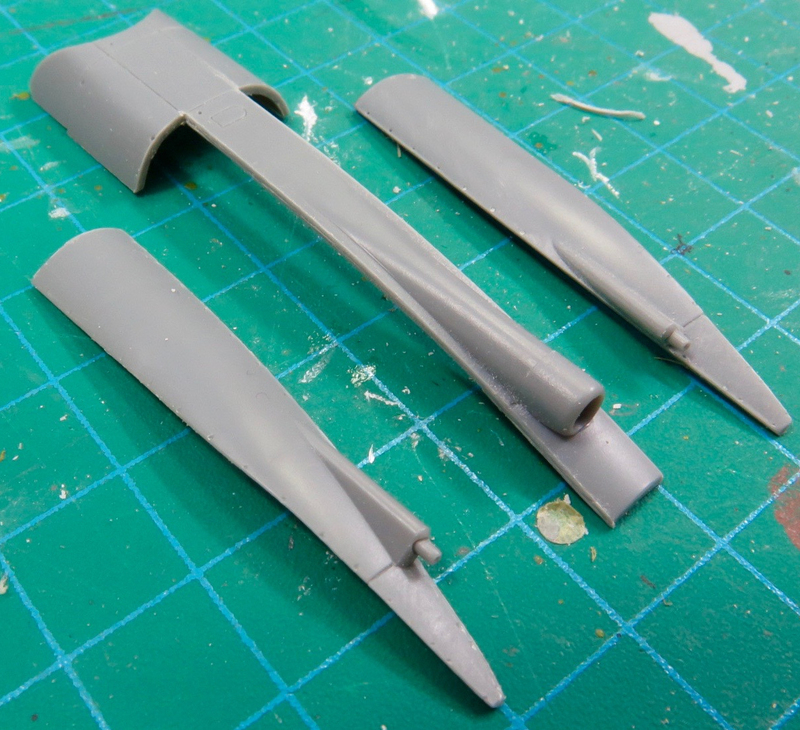 I used Tamiya Sky Grey XF19 lightened and darkened to add a bit of variation to the undersides. The instructions incorrectly call out Neutral Grey. Before painting the top surfaces in lightened Gunze Dark Earth, not middle earth, as the instructions would have, and dark Green. camouflage demarcation was done using some old Cutting Edge camouflage make I had in the aftermarket drawers. AML currently do a set should you wish to save yourself a lot of time masking. They are available from Hannants. I was quite happy with the colour coats until I ruined them by literally hosing on the Future too thick rather than building up to a glossy decal ready finish with several thin coats. Will I ever learn? anyway, the rivet detail, that until now had remained nicely visible became filled to the point where I knew it would not take a wash. A fundamental lesson in airbrushing is if your airbrush is not behaving like you want it to STOP IMMEDIATELY and correct. I don't know how many times I have ignored this and just blasted away regardless. 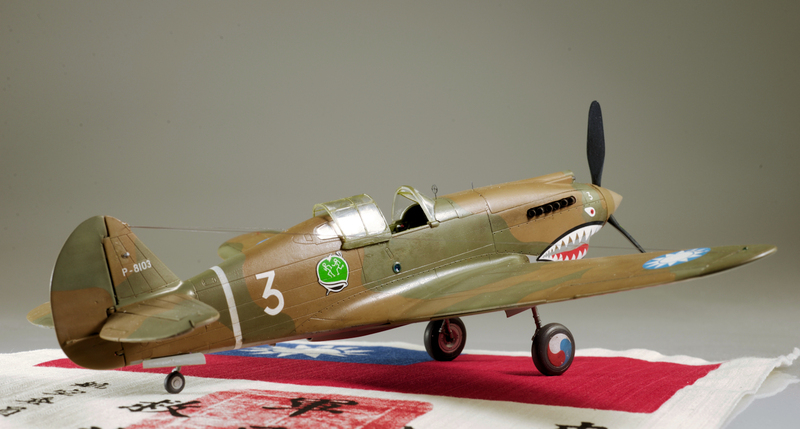 Anyway, I was now ready for decals and thought I would show John Rossi some love, as you don't always see his aircraft modelled. It was here that life got in the way as we had just placed our house on the market and what with cleaning up for all the open days, I just did not get any photo of the model having its decals applied, but I can tell you they behaved pretty well. The only issue I had was trying to line up the teeth that go under the nose with the teeth on either side. Decal 11 just would not fit as the marking guide showed. The curve on them just was not of a sufficient radius. I also think the propeller stencils are a bit overscale. Note the colour swirls should only be fitted to the outside of the hubs too. 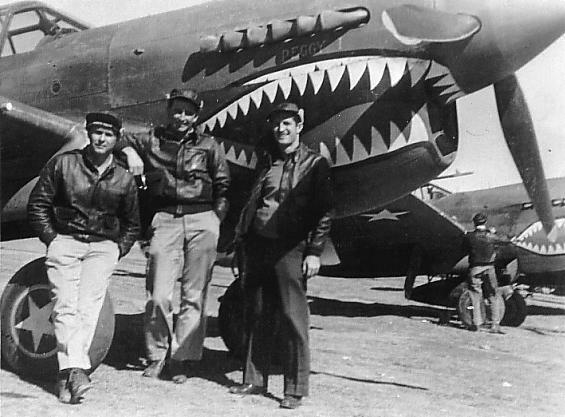 The colour density was good and they look to have been fairly well researched. Normally I would apply a bit of weathering at this stage, but to be honest, the kit was starting to try me. Maybe it was the house move! So I elected to add the clear parts and finish her off. 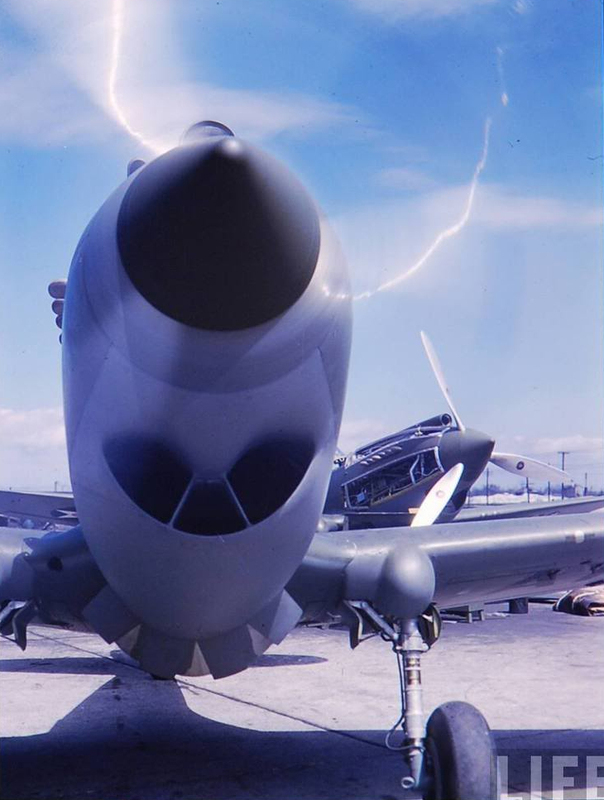 The kit had one last surprise for me in that the open canopy is too wide for the fuselage. I had to apply a fair bit of clamping to get it to stay in the final position, which I’m still not happy with. I added an Ultracast seat and rigged the aerials with E-Z Line, and that was that. 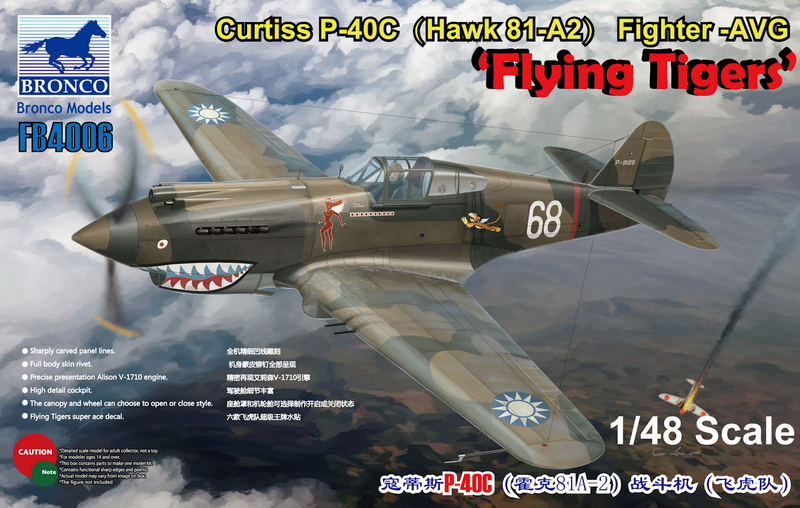 To me, this kit needs far too much to turn it into a reasonably accurate replica. 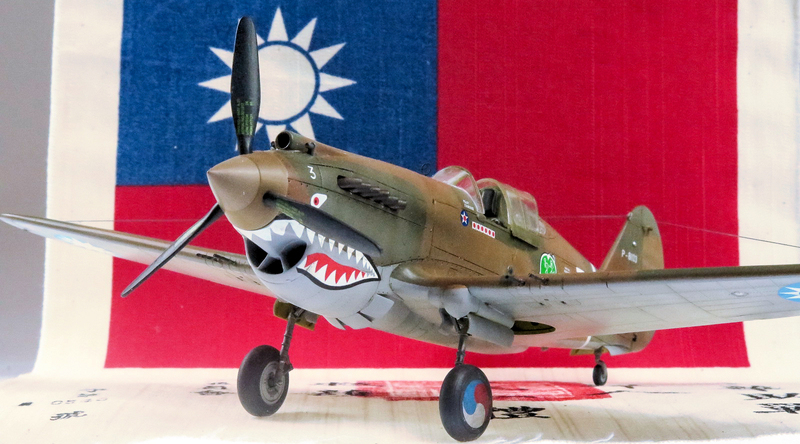 For the modeller who worries about accuracy, an aftermarket cockpit is a must, as well as new control surfaces, and maybe propeller blades, and canopy. To date, I have seen nothing announced in the way of AM for the kit If you don't care about accuracy, but just like to build OOB, and need a Tomahawk for the collection, well, I would still personally wait for the forthcoming Airfix kit. 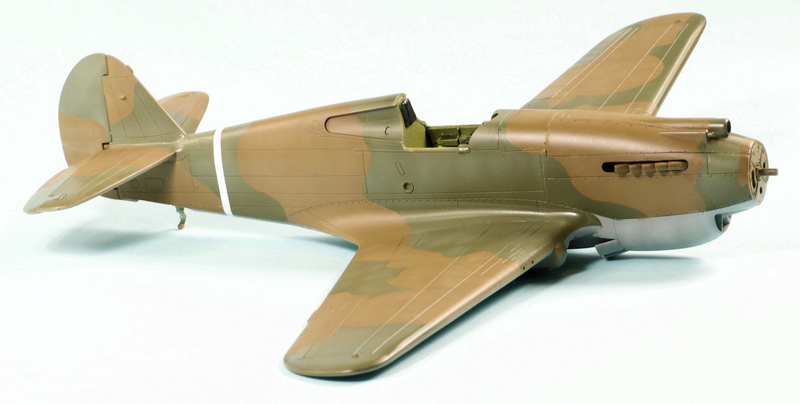 Thank you to Bronco Models for the review kit – We’ll have more on the review in Pt.II when Bruce builds this kit.